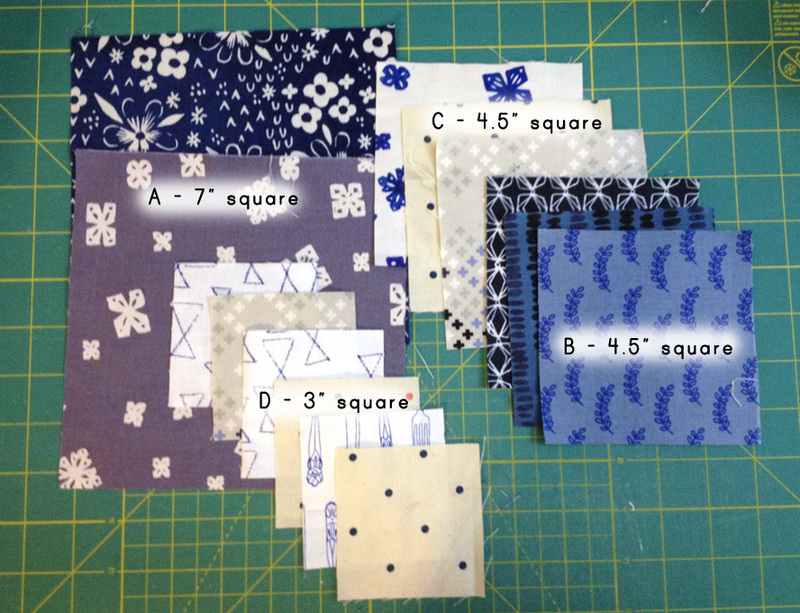 Pair up a B and C square and make a batch of HSTs using the 4-at-a-time method. Trim each HST to 2.5" square. Repeat with the remaining B and C squares until you have (12) HSTs. Cut your A and D squares in half diagonally. 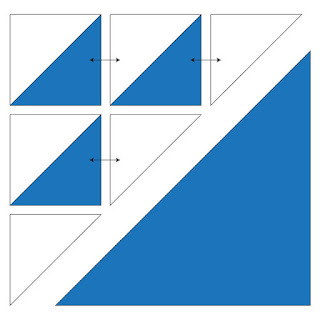 To make each quadrant of the block, you will need to piece (3) HSTs, (3) D triangles, and (1) A triangle. 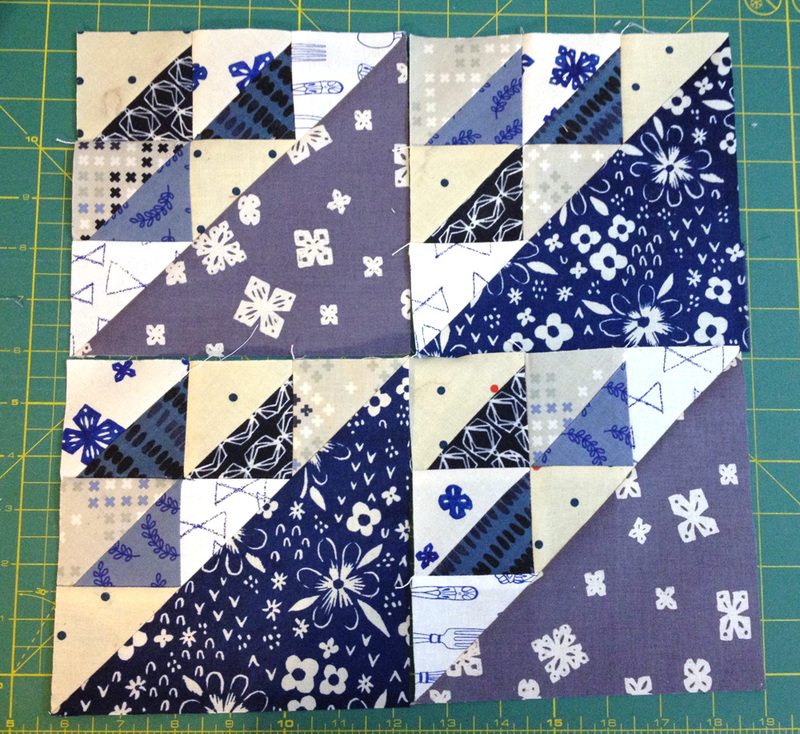 Sew the HSTs and D triangles together in rows as illustrated, then sew those rows together to make a triangle. Then put your pieced triangle and the A triangle right sides together and sew along the diagonal edge with your usual .25" seam allowance. It's way easier than it looks. Make (4) quadrants. What we're supposed to do is lay the four quadrants out as illustrated and sew them all together. Instead...*sigh*...do I even need to tell you at this point? 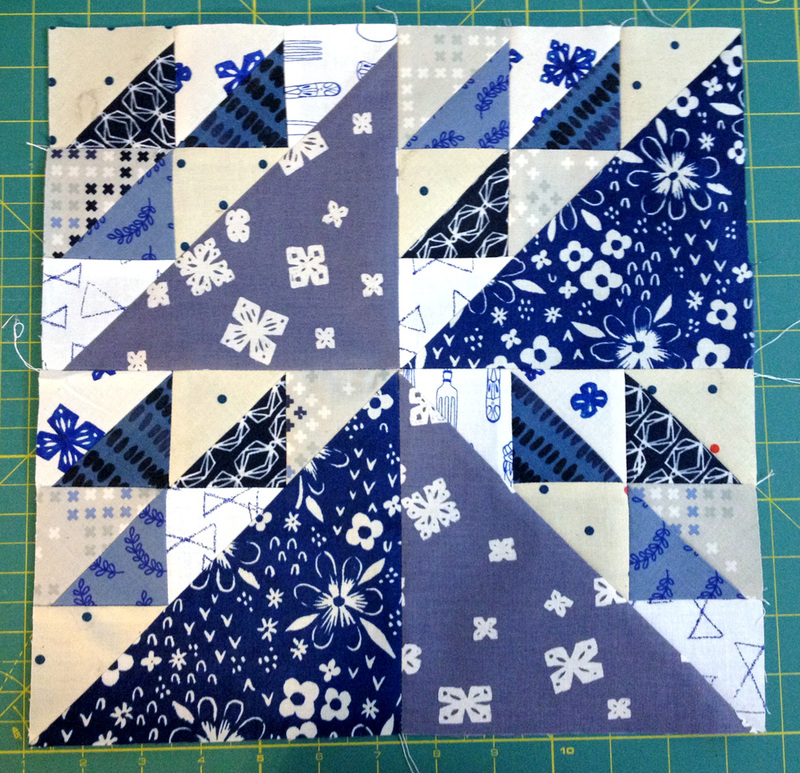 As usual, your block will be 12.5" square. Next week will be our last week and, we'll be assembling the quilt top!